We at Insider Monkey have gone over 742 13F filings that hedge funds and prominent investors are required to file by the government. The 13F filings show the funds’ and investors’ portfolio positions as of September 30. In this article, we look at what those funds think of Carnival Corp (NYSE:CCL) based on that data. Carnival Corp (NYSE:CCL) has seen a decrease in support from the world’s most elite money managers of late. 27 hedge funds that we track owned the stock on September 30, down by 4 from June 30. At the end of this article we will also compare CCL to other stocks including Crown Castle International Corp. (NYSE:CCI), Canadian Natural Resource Ltd (USA) (NYSE:CNQ), and Yum! Brands, Inc. (NYSE:YUM) to get a better sense of its popularity. How are hedge funds trading Carnival Corp (NYSE:CCL)? Heading into the fourth quarter of 2016, a total of 27 of the hedge funds tracked by Insider Monkey were long this stock, a 13% drop from one quarter earlier, as hedge fund positions continue to spiral downwards. 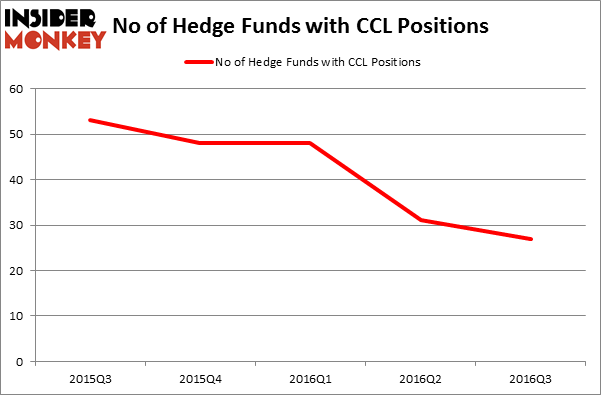 With hedge funds’ positions undergoing their usual ebb and flow, there exists a few key hedge fund managers who were upping their holdings significantly (or already accumulated large positions). 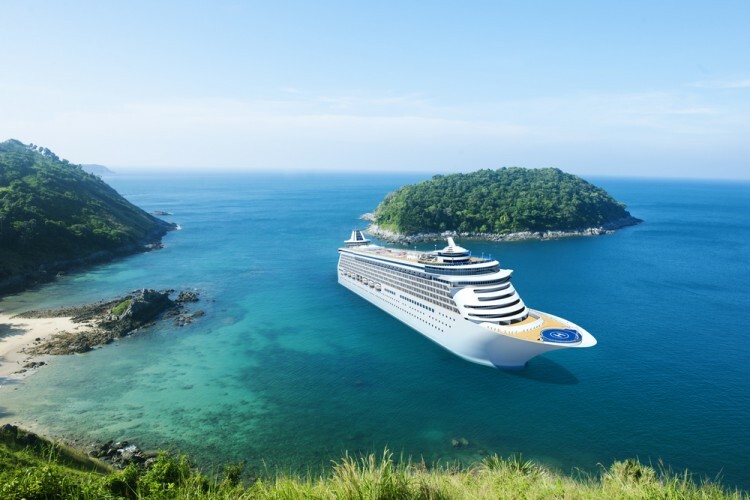 According to publicly available hedge fund and institutional investor holdings data compiled by Insider Monkey, Platinum Asset Management, managed by Kerr Neilson, holds the biggest position in Carnival Corp (NYSE:CCL). Platinum Asset Management has a $239.3 million position in the stock, comprising 5.6% of its 13F portfolio. Sitting at the No. 2 spot is AQR Capital Management, led by Cliff Asness, holding a $123.9 million position. Some other hedge funds and institutional investors that hold long positions contain William B. Gray’s Orbis Investment Management, Sandy Nairn’s Edinburgh Partners, and Robert Bishop’s Impala Asset Management. Hedge Funds Are Selling Concordia International Corp (CXRX) Is Tobira Therapeutics Inc (TBRA) A Good Stock To Buy? Is 2U Inc (TWOU) A Good Stock To Buy? Is Cohu, Inc. (COHU) A Good Stock To Buy Right Now? Is Cryolife Inc (CRY) A Good Stock To Buy? Is Bottomline Technologies (EPAY) A Good Stock To Buy?